”If you are not taking care of your customer, your competitor will.” That’s a popular quote by Bob Hooey. We spend an endless amount of time, resources and investments in the acquisition, conversion and onboarding of new users or customers. Some slightly less effort on the nurturing of the relationship. But what about the ending? Why is it that we spend so little time on thinking about the ending of something? Ok, thats a rhetoric question. It’s more or less a basic human thing to be afraid of things coming to an end, as it’s mostly connected to an unpleasant event… like a lovers’ breakup. Recession upon booms. An empty coffee jar. Death. 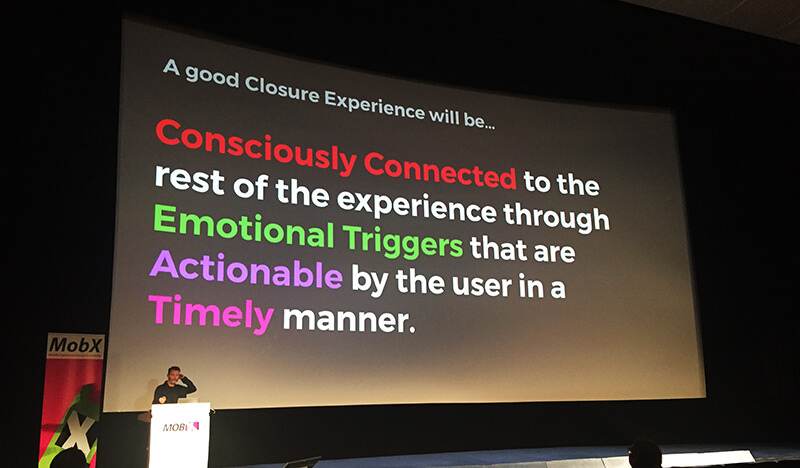 This about death is also the starting point in Joe Macleods talk that he gave on the Mobile UX Summit in Berlin three weeks ago, which I had the pleasure of attending (great speech by the way, Joe!) He even wrote his own book on “closure experiences”, which I intend to read later on (find out more on closureexperiences.com). He argues that, while death was a much more integrated and officially featured thing in the old times (think medieval plague and so on), it has now become something that we almost try to hide away from – even as it is the most certain thing in life. 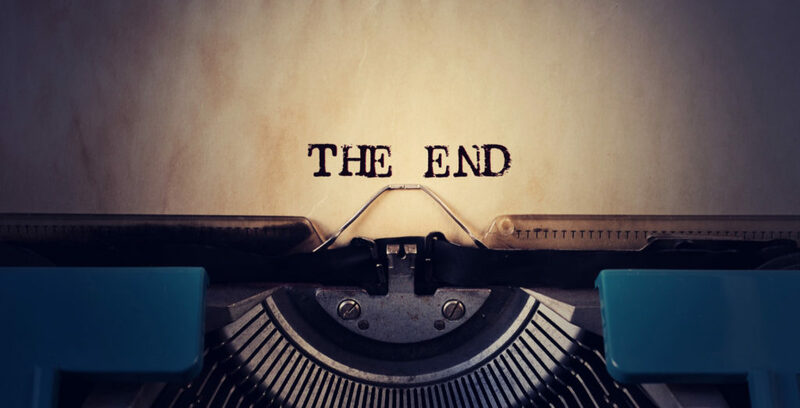 While endings used to have a broad value and vocabulary, they have now become hidden, overlooked and unwanted. Image credit: A slide from Joe Macleod’s talk on the Mobile UX Summit in Berlin 8th of September 2017. Our whole economy is focused on growth and expansion; for a traditional business or organization meaning new or bigger clients and investments. On the other hand, the many so-called ”disruptive” startup companies around are supposed to be the one’s stealing all the users or clients from ”traditional” companies. Now, as much as disruptiveness do exist, the most I’ve seen of it is really just endless self-confident startup copies. They may in some way succeed to steal customers from established business, but most of them are doing nothing different from their predecessors other than being a bit cheaper and a bit better. This business model still works out pretty well though, and I think that one of the main reasons behind this is that the digital transformation of industries and society is still a quite new phenomenon. Many users are still onboarding the very digitalization itself, and being disruptive as a company doesn’t yet require much more than beating a non-digital process or service in it’s own game. Further on, however, I do believe it will be a fast increasing priority for any business to really enhance the ending of their customer relation. Or the closure, so to speak. One of the many buzz-phenomenons of today is the onboarding process of new users. We need to start putting the same focus on the offboarding. 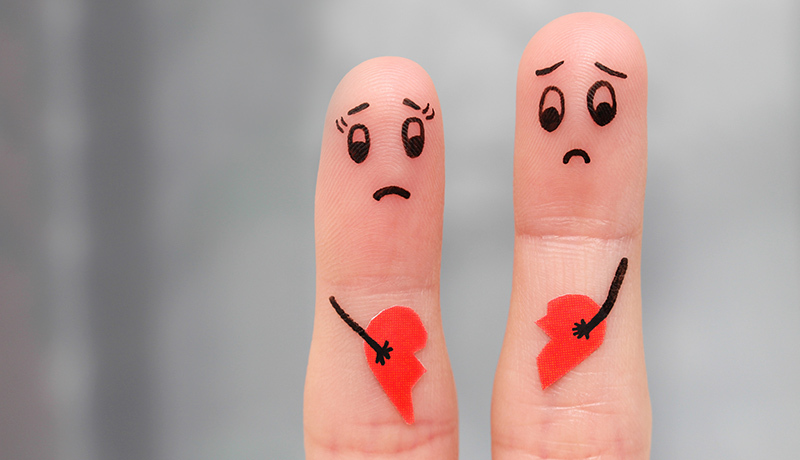 Breakups are usually very sad. But they don’t have to be horrible. This has of course already happened in some business’. For example, I’ve worked with a few mobile network operators in Sweden over the years. First, they went into a massive war of cheaper and cheaper prices. Customer service had to stand back while the marketing & sales organization’s got all the budgets. After a while though, the companies within the industry saw themselves stuck in a position where all customer loyalty & trust were lost. We all more or less hated our mobile operator, and we knew it wouldn’t help too much to make a switch since they all seemed to be the same. And so the new ”war” has come to be one of promises of better customer services, and freedom for the customers to end their relation with the company in the easiest way possible. Now let’s get back to something practical. If you are in any way involved in work around your company’s acquisition or marketing communication towards new customers or users, I bet you have a pretty good idea of how your onboarding process for customers look like. And just on a side note; speaking of e-mail subscriptions, another great speaker on the Mobile UX Summit was Fabio Carneiro, formerly a team lead on the awesome e-mail service Mailchimp (which I happen to use for my own newsletters). He shared a lot of nice experiences from his long work on e-mail optimization – thanks Fabio! What’s really the difference between a customer cursing at the reception desk of your head office, telling your company that they’ll never set their foot on your grounds again. And a user unsubscribing from your service? We have spent so much time over the last years in looking at, and gathering, data patterns of our user’s. At the same time we have often come to alienate them, rather than getting to know them better. We have tried so hard to make our products functional, reliable, usable and desirable, that it seems that we expect our user’s to accept any kind of terms or conditions that may lie hidden beneath the shiny interface. With the new enforcements of EU’s GDPR legislation closing up on us, it’s really about time to start thinking about the transparency and ethics of your user experiences. 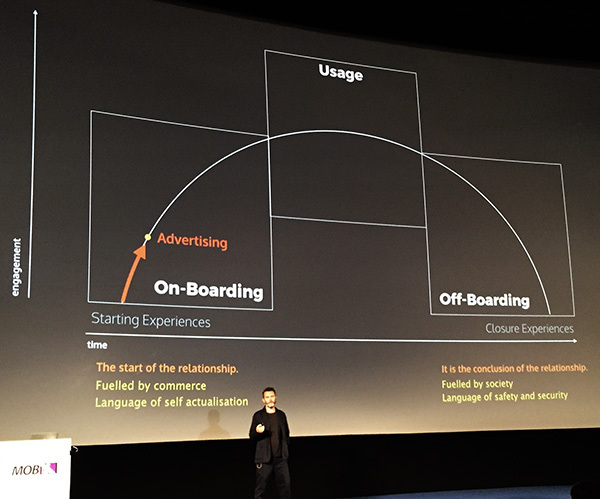 Image credit: Slide from Joe Macleod’s talk on the Mobile UX Summit in Berlin 8th of September 2017. Let’s start today. Look into your automatic termination-of-service e-mails. Your unsubscription pages. Are you using the moment to try and find out why your user’s are leaving, so that you can learn for the next time? Do you promise them that you will try and be better in the future, so that you’ll be ready for them should they ever wish to come back (and are you also willing to put meaning behind those words)? Think about it as if it would have been a marriage. What kind of trust does it show, if your user’s are to realize that the terms & conditions that they agreed to when you first met, turns out to be a nightmare once it’s time for divorce? Will you ever be able to speak to each other again? Try and not let it come to that. Death is the only certain thing in life. Prepare for the closure experience of your service, or product, or your whole company. Showing that you have a plan for this will be an important selling point for any modern business. Tomorrow, when you have run out of easy-pick customers to steal from your competitors, it’s time for you to literally face your previous customers once again, trying to win them back.